Organ donation is a medical marvel that can affect many lives. The passing of one person can transform the lives of 10 or more seriously ill people and even more when you think about the families and friends of those saved. Although we don’t like to think about it, car accidents happen and the consequences can be severe. It’s important to acknowledge the risks and the potential effects so your wishes are fulfilled if the worst was to happen. 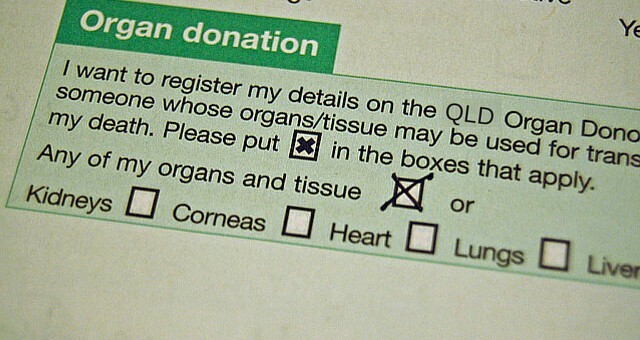 The process to register as an organ donor is uniform across Australia. Following these simple steps is the best way to ensure your wishes are carried out should something happen to you. You can read up on all of the facts and statistics about organ donation so you understand what would happen and if it’s what you want. This can clear up any misconceptions you might have and clarify any questions you want answered before registering. To make sure medical services and your family are informed of your wishes, you should register with the Australian Organ Donor Register. This is the only national organ donation register. It is maintained by the government and enables your decision to be verified 24 hours a day. Registration is voluntary and you have complete control in deciding which organs and tissues you are willing to donate. People who don’t want to donate can also register this decision. This register is for people who want to donate organs and tissues towards saving the lives of seriously ill people. Donation to other causes like scientific research involves separate processes you can learn about from your state health department. Ultimately, when it is time for organ donation to happen, you won’t be able to confirm your wishes. Although you will have registered your intention to donate, your family has the final say in whether you actually donate. For this reason, it is vitally important to tell your family about your intention to donate. This will help to ensure your wishes are carried out and the gift you’ve generously decided to give saves lives. Less than 1% of hospital based deaths are in circumstances that allow for organ donation so it’s vital that everyone who intends on donating is given the green light by their family when the time comes. This helps to save as many lives as possible through organ and tissue donation. You can imagine that the request to confirm your wishes will come at a difficult time for your family. Make their decision as easy as possible by having the conversation now. Please visit the DonateLife Network’s site for further information and to register.